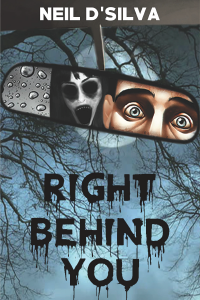 Right Behind You is a collection of 13 horror stories of different genres. The thing that connects these stories is the emotion of our inner fears that resides in all of us. We might mask these fears, we might even deny them, but they emerge when least expected and then they begin to encroach upon every aspect of our lives. 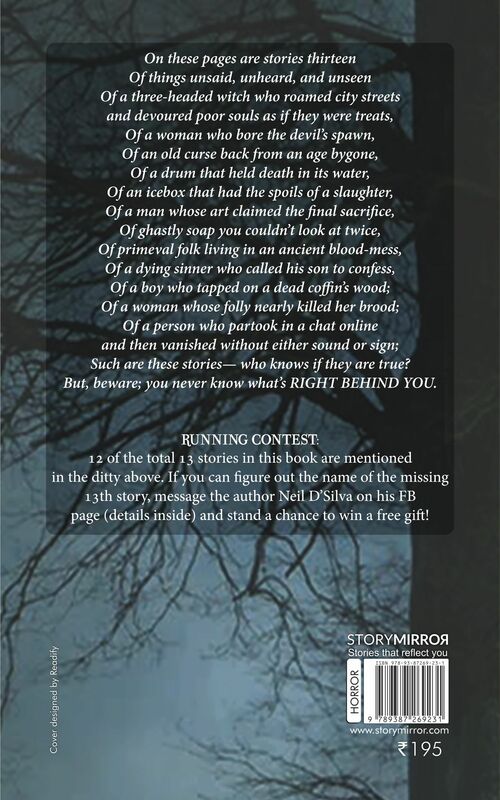 In this collection of assorted horror stories, you will find noir horror, urban myths, fantasies, campfire tales, stories of phobias, gore, and even a story that takes place entirely on chat. An e-horror story, if you could call it that. Just like a rollercoaster is a source of unexpected adventure and you won’t find its shocks and thrills unless you actually ride on it, you won’t get the real experience of Right Behind You unless you read it. So, sit back, fasten your seatbelts, and plunge into the drive.